It has been almost two years since our site crashed. I finally took the time to get it back up and running. Hopefully, I will backfill some of the missing time as well. The motivation for fixing the site was our most recent road trip: Santa Fe. We mixed it up this time and Kelly flew with the kids to Albuquerque, and I drove down with Dash to meet them. We all drive home together. Launching baking soda and vinegar rocket at McNair Dam. Thanksgiving with cousin and aunt. Climbing sand wall at Moab (Kelly and Dash far at the bottom of the hill). Arch yoga pose at Arches National Park. It was parr of the junior ranger book. Working on their junior ranger book while on the trail. Happy after visiting Meow Wolf in Santa Fe. Dash on alert after coming upon two frozen, disemboweled deer carcasses. 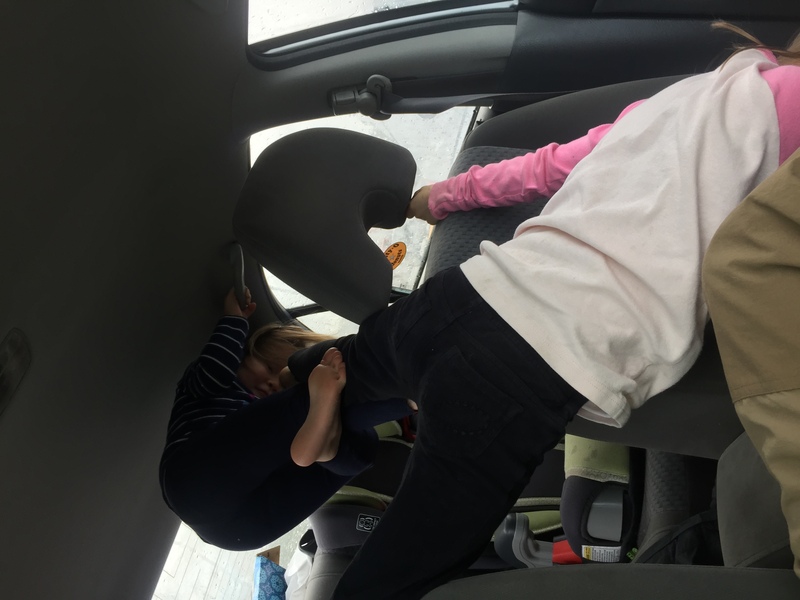 A few minutes stuck in the car means ample to stand to #$% around in the back seat. 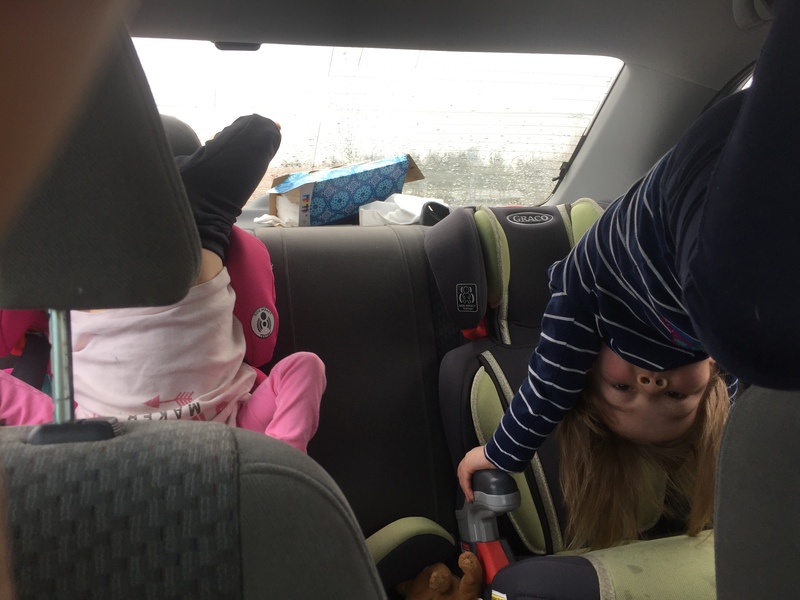 Followed quickly by @#$%-ing around in the front seat. I have been struck recently by the number of international tourists in the North Cascades. It is interesting to raise kids in an area that is on such a destination for so many people. What is a lifetime destination for some, is simply Saturday for Greta and Ripleigh. I particularly enjoy Dash sailing by with the river current. He loves to ride the current, but it has been rare that we captured it on camera. She moves onto kindergarten in two weeks. Here she is leaving her pre school of the last three years for the last time. I should note it was pajama day, and she is carrying her emergency kit. 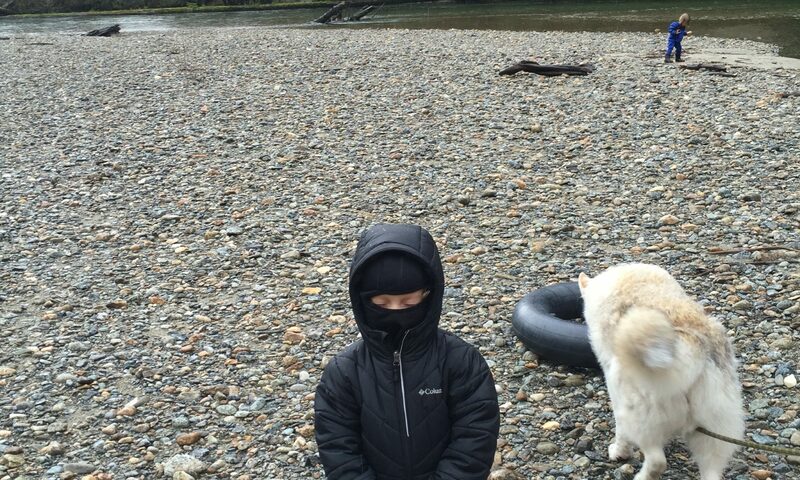 In Seattle, all kids have an earthquake preparedness kit. This was Ripleigh’s and Kelly’s first trip to Eight Mile Lake in the Enchantments. Greta and I hiked in to this spot last year. We hiked in with some friends from childcare. Here are the kids eating together after the hike in. Here are Greta and Ripleigh at lunch after hiking out the next day. And enjoying the lake once we arrived. We head back to the same lake at the end of August. Greta was playing with bubbles. Rips and Kelly were building a new river. Bubbles paled in comparison. … The mother’s day you deserve.